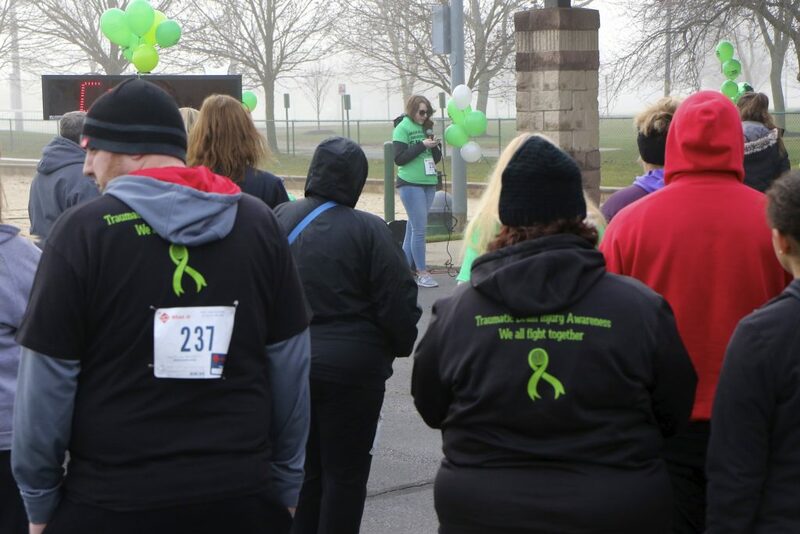 Our second annual 5K Run and 1 Mile Walk for Brain Injury Awareness was March 31, 2018 at Fred Beekman Park! 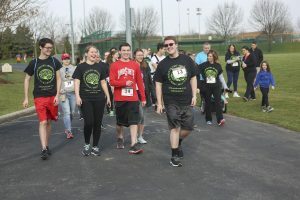 Together we raised $2,962 benefiting The Ohio State University Wexner Medical Center for brain injury treatment and support. 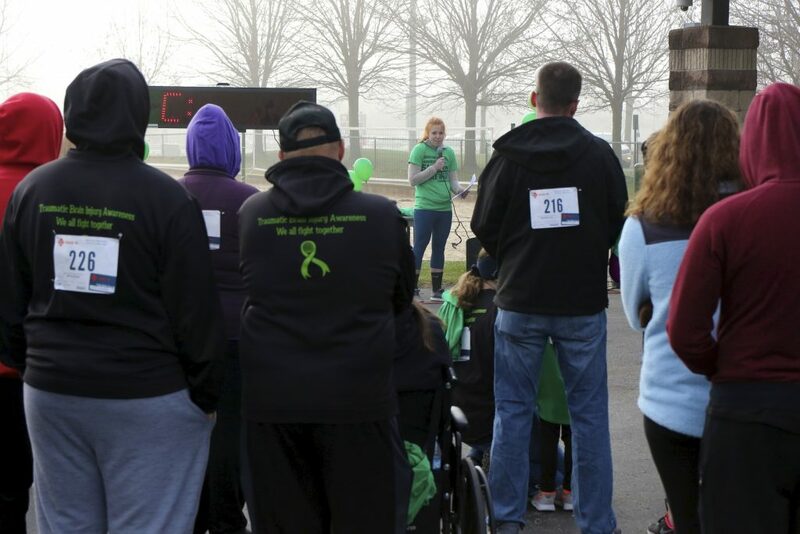 Before the walk Taylor Ort (above) and Kristi Maconi (below) shared how they were affected by a TBI. Our top fundraiser was Robin Primmer! Our top 5K runners were Mike Moran, Cole Hatmaker, and Rebekah Shuffer! Race times for the 5K can be found here. We hope to see you at our 3rd annual run & walk March 2019! 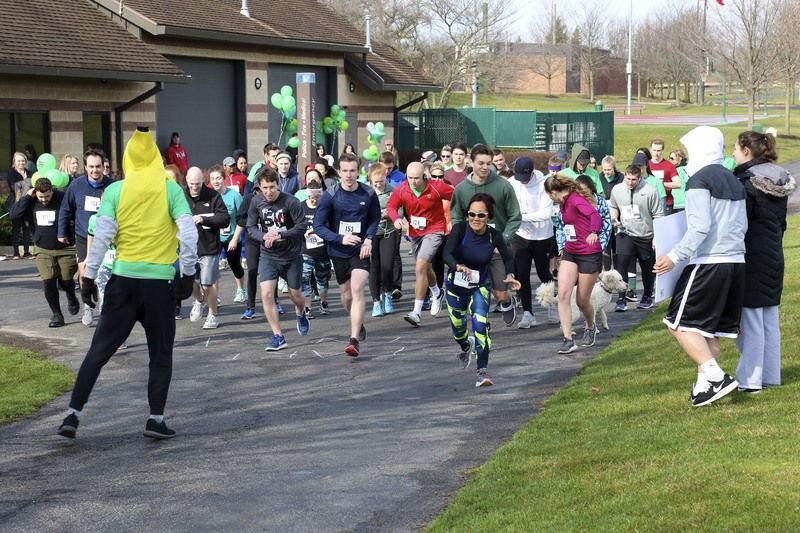 We would like to thank our sponsors for supporting this event: Blue Ridge Graphics, Brassica, The Waffle House, Coca-Cola, Neuroscience Graduate Student Organization, The Columbus Running Company, Live Wellness Center, RoadID, and more! 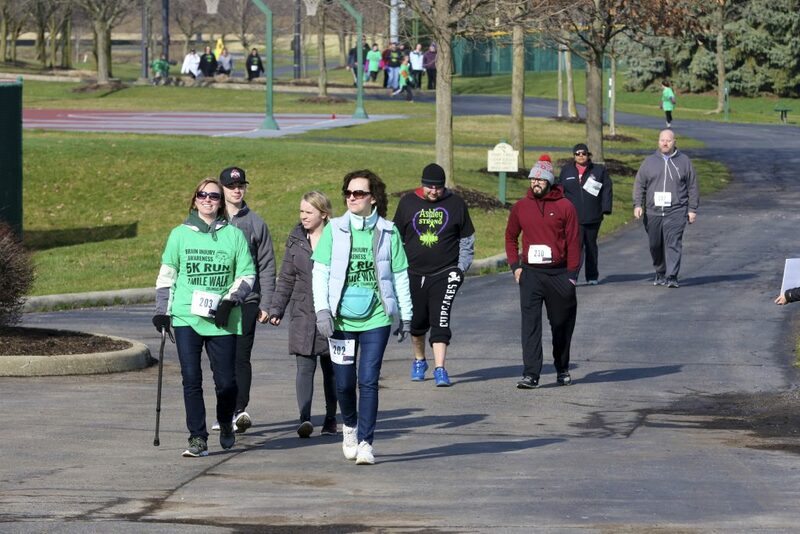 Our first annual brain injury awareness 5K run and 1 mile walk was a huge success. 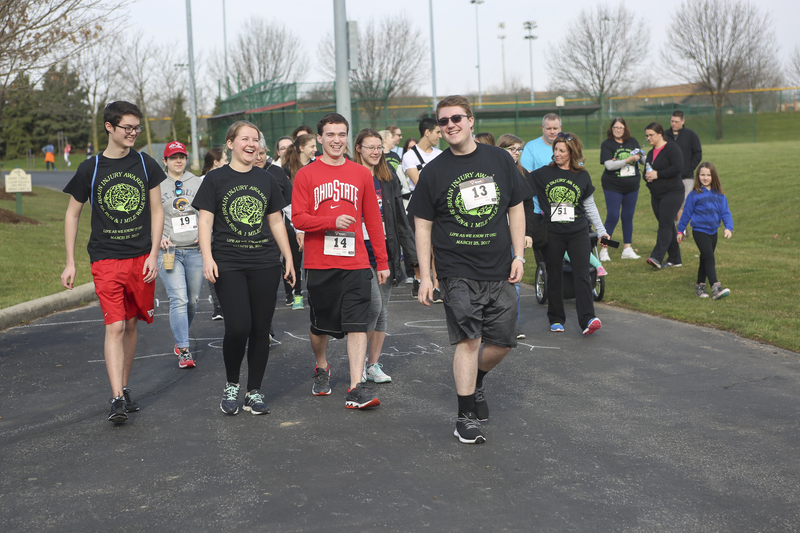 Together we raised $1,165 for the OSU Wexner Medical Center’s Brain and Spine Hospital for patient care, research, and education. The event featured our guest speakers, Krista and Rachel Barezinsky, who shared the story of how their lives were changed from a traumatic brain injury. Krista Barezinsky was the founder of our student organization, originally called Life as We Know It: TBI Awareness and Support. You can find out more about their story here. 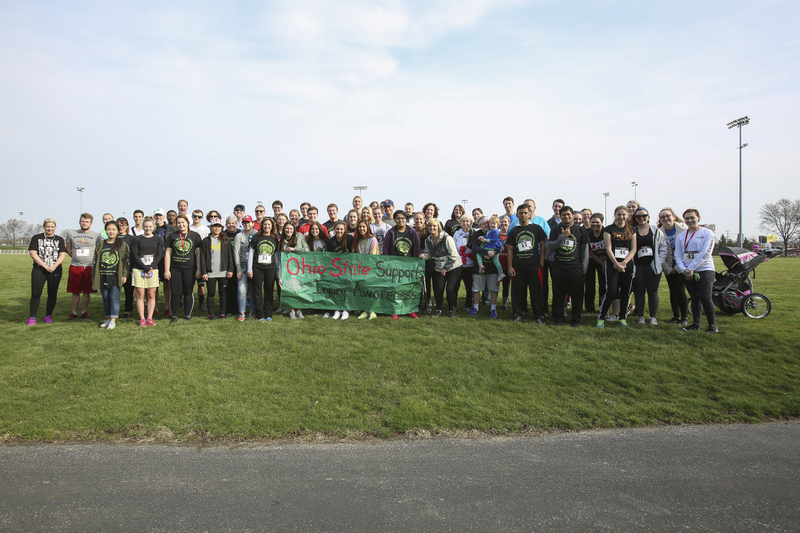 The winners of the 5K were Anthony C. in first place, Trevor B. in second place, and David T. in third place. 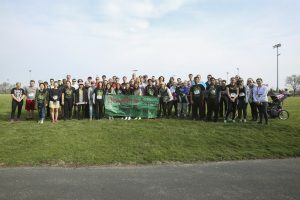 Thank you all for supporting brain injury awareness and we hope to see you next year at our second annual run / walk for brain injury awareness!